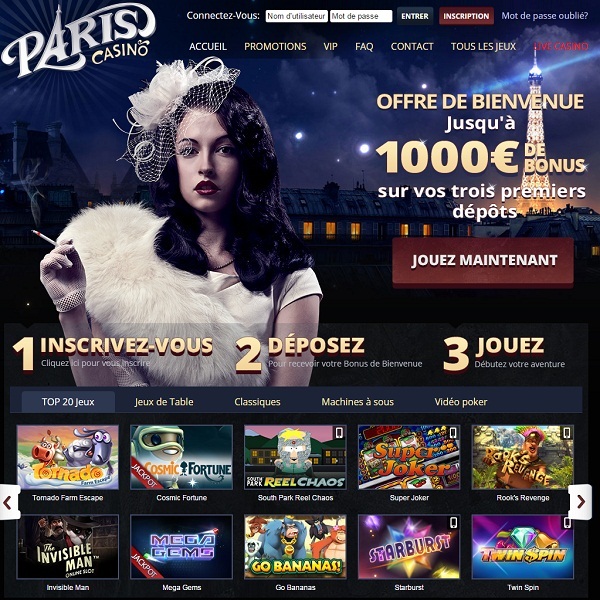 French gamblers have a treat in store thanks to the launch of Paris Casino, a new online casino that offers games from NetEnt and Betsoft. The casino is welcoming all new players with a first deposit bonus of 100% up to €250. This is followed by a second deposit bonus of 25% up to €250 and a third deposit bonus of 50% up to €500. There are also regular reload bonuses and other generous promotions being run at the site. Players will find an excellent selection of games. All the latest video slots are available complete with fun bonus features and many progressive jackpots. There is an excellent selection of card and table games, video poker, scratch cards and arcade games. Furthermore, members can enjoy a live casino which offers a great selection of games staffed by friendly and professional dealers.